The flowers in this appetizer do more than just look beautiful, they have distinct flavors which are fun to play with. Borage has a cucumber taste, for example, while Nasturtiums have a peppery bite. Some say Little Gem Marigolds are the best tasting marigolds and I do think they are less bitter than some of the larger varieties. The other flowers I used for these appetizers are Calendula, Batchelor's Buttons and Violas. I use soft spreadable cheeses for this appetizer for their mild flavor which doesn't over power the taste of the flowers, and I love the white canvas they create for the colorful petals. 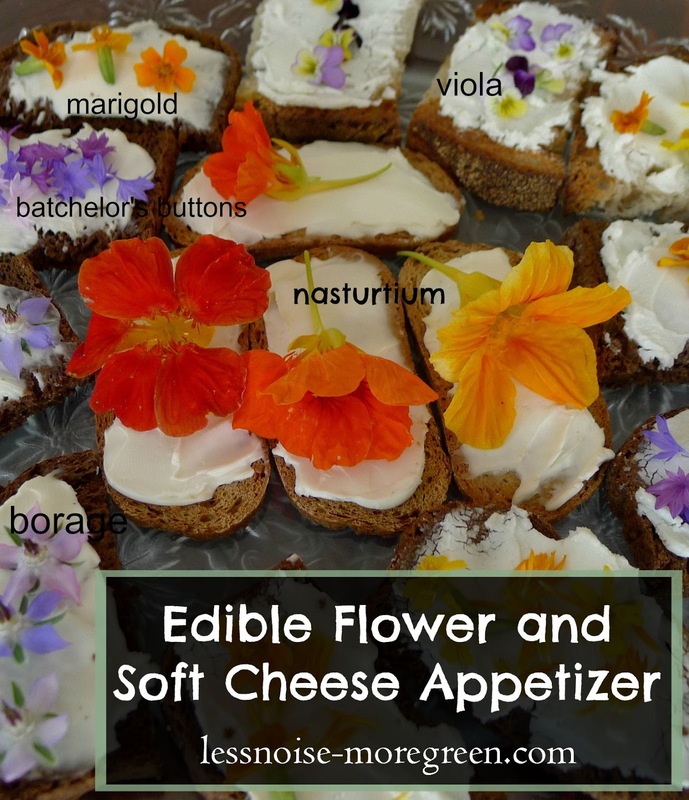 Spread the cheeses on the toasts and decorate with edible flowers just before serving. Do you have a favorite way to use edible flowers in your cooking? Hi Delia, thanks for stopping by and for your support, it means a lot! I've just called by from RDown to Earth, and I have to say I love what you are doing with your garden and it's wonderful produce. I'm the Sue that was on Rhonda's blog post last week with the polytunnel full of edibles, so we are doing something very similar just in different parts of the world. My favourite flowers to eat are Nasturtiums, like you say for their wonderful peppery taste, and we also use the leaves in our mixed leaf salads. I also love lavender, in all it's forms, I use it mostly in biscuits and scones but used as a herb it adds it's distinctive taste to lots of other dishes including a few flower petals sprinkled over a mixed salad. 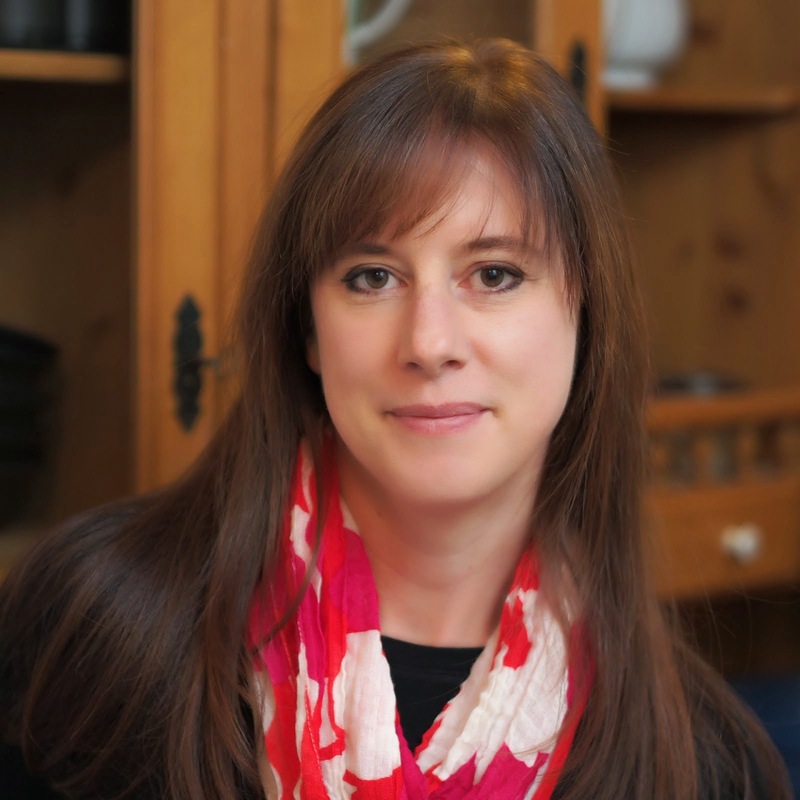 I'm adding your blog to the sidebar of mine so I can follow your progress and gather some inspiration for those days when it feels too much like hard work to drag myself out to dig. Hi Sue, thank you for leaving a comment! I visited your blog last week and I am quite envious of your poly tunnel. I don't have the room for a green house of any size but I grow almost all my plants from seed in my house under grow lights. I have several lavender bushes but for some reason didn't bloom this year but I do use lavender in my baking and to make lavender and honey ice cream! I am originally from the UK (Somerset) and have spent some time in North Wales, which is lovely. I wish you lots of luck with your garden and your blog, which I will visit again soon. Thank you! They are a lot of fun to make and serve.